Heyy all! I know, its been an incredibly long time since my last post. Actually i had taken a month break intentionally as i was very busy with other stuff. Now that i am back, hopefully i will be posting again regularly with full enthusiasm, lots of different recipes for you guys. So stay tuned. 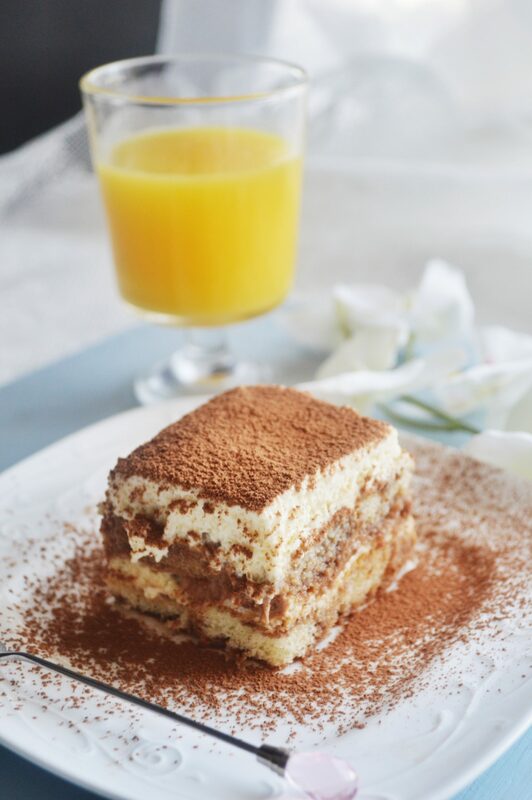 For all those who are not familiar with tiramisu, It is a popular coffee-flavoured Italian dessert. 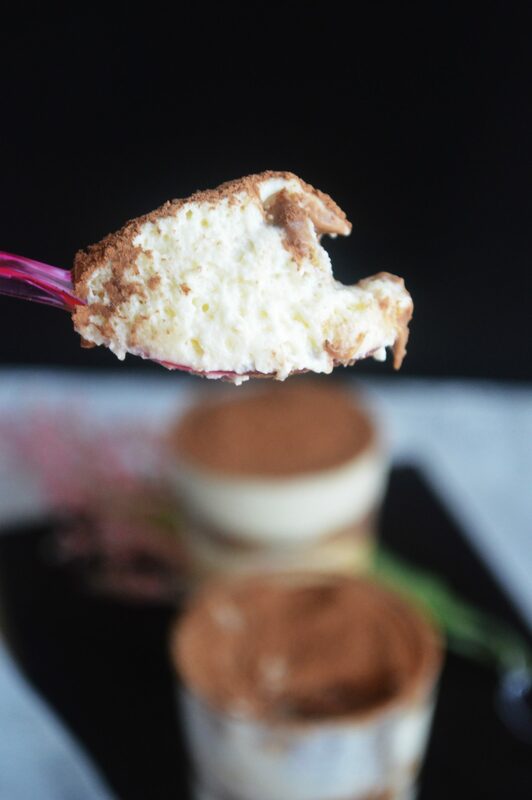 It is made of ladyfingers (Savoiardi) dipped in coffee, layered with a whipped mixture of egg yolks, egg whites, sugar and mascarpone cheese, flavoured with cocoa. But as i am not a fan of coffee flavoured desserts, i decided to make my tiramisu this way with chocolate. 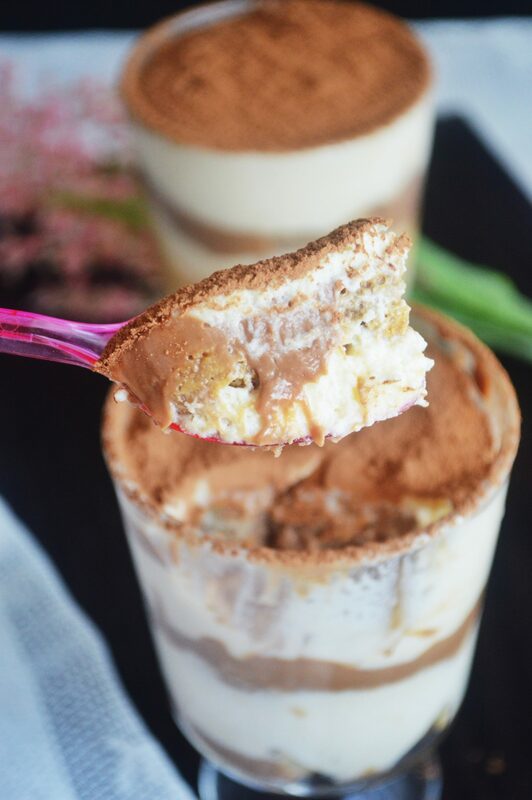 Tiramisu means “pick me up” in Italian, and even though these don’t have the caffeine in it, a spoon full of cookies, cream and chocolate always picks me up. 🙂 You can either make these in individual glasses or in a 9×13 pan. 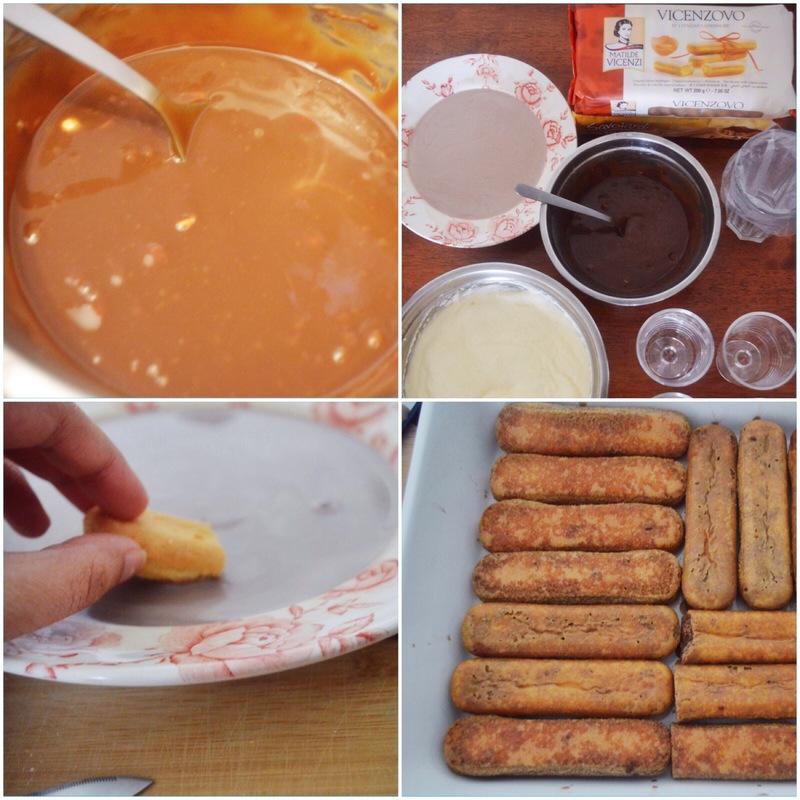 Do try making these, you all will love it. 1. 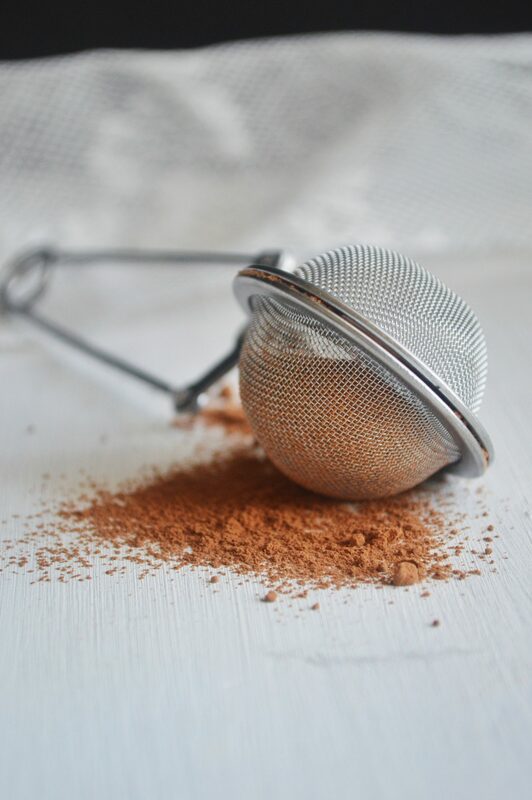 Combine the cocoa, sugar and pinch of salt in a saucepan. Blend in the boiling water. Bring this mixture to an easy boil while you stir. Simmer and stir for about 2 minutes. Watch that it doesn’t scorch. 2. Stir in milk and heat until very hot, but do not boil! 2. Once the egg mixture gets all thick remove from stove and to it add in the mascarpone cheese along with some vanilla and a pinch of salt. Whisk it well till smooth. 3. In a clean new bowl whisk the egg whites till you get nice stiff peaks. 4. Add the half of the egg whites into the mascarpone mixture and do a half mix and a half fold. You don’t want to mix it vigorously to knock off all the air at the same time you don’t have to fold it so carefully that it is super airy. You want a super light, soufflé like mixture. That is, give a semi gentle stir. Then add the rest of the egg whites and combine. 1. Add butter to the cream and bring to a boil over low heat. 2. Remove from heat and add chocolates. Shake pan to submerge chocolate and allow to stand 5 minutes. 3. Whisk smooth, then cool to room temperature. Ganache will thicken to spreading consistency. 1. Dip the cookies in hot chocolate. Do not dip it for a long time. Just dip it and turn it around and take it out. Do not over soak. 2. Place this on the pan. Spoon a thick layer of the mascarpone cream over the ladyfingers—you may find that it’s easier to put the cream into a pastry bag with a round tip, or a plastic bag with the corner snipped off. 3. Once all of it have a layer of mascarpone, spoon a thin layer of chocolate on top. 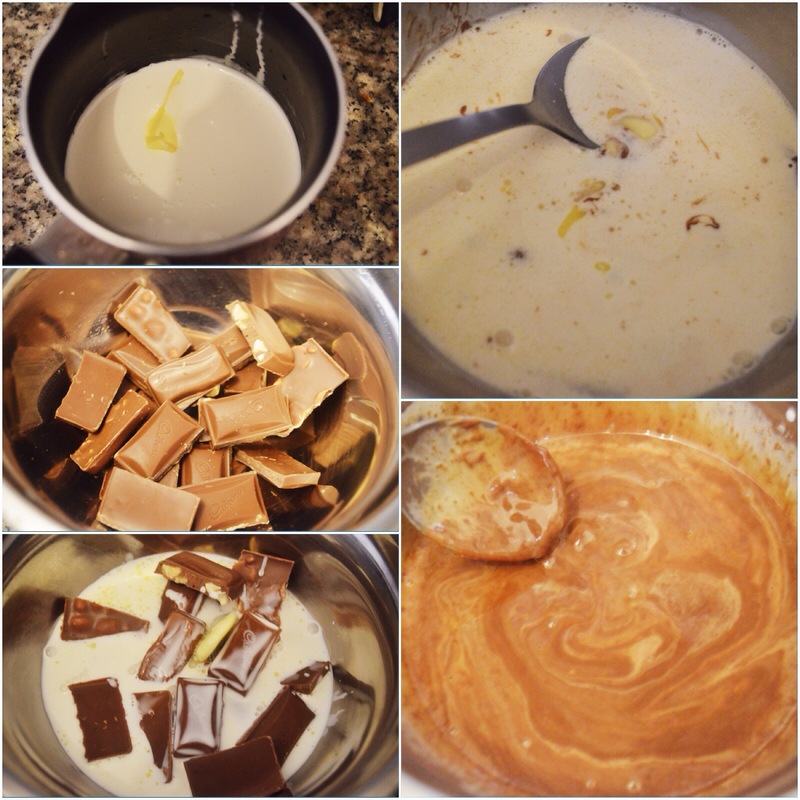 Repeat the layers, adding more ladyfingers, mascarpone, and chocolate, until you reach the top of your container. Make sure that you end with a layer of mascarpone cheese. Finish the tiramisus with a topping of shaved chocolate, unsweetened cocoa powder, or a big rosette of whipped cream. Refrigerate for at least 6-7 hours, or better overnight and serve! ✔️ When separating the eggs, its always okay if you get a little bit of whites to the yolks but never okay if you get yolks to the whites. Otherwise it will be very hard to whip in the peaks. ✔️ When double boiling the egg yolks make sure that you don’t scramble the eggs. Stir constantly and don’t let the water boil. 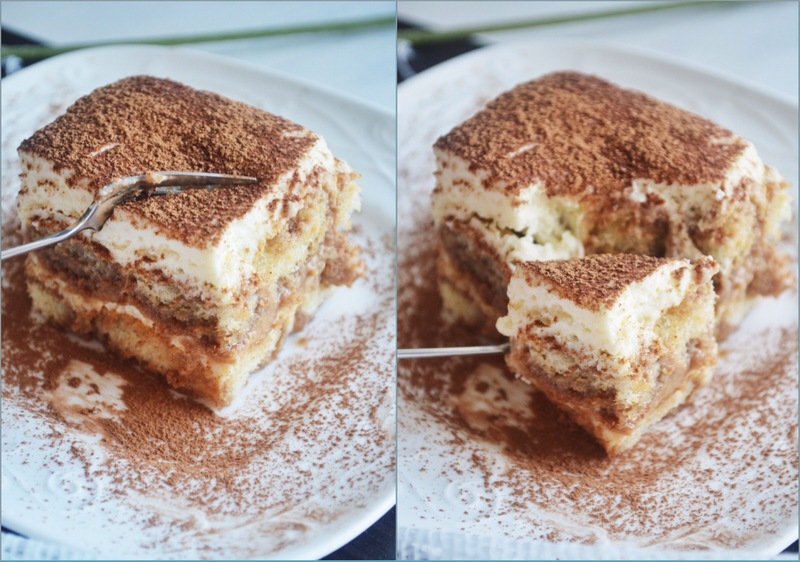 ✔️ Tiramisu keeps very well, and this dessert can be made up to five days ahead of time and kept, well-wrapped, in the refrigerator until ready to serve. Combine the cocoa, sugar and pinch of salt in a saucepan. Blend in the boiling water. Bring this mixture to an easy boil while you stir. Simmer and stir for about 2 minutes. Watch that it doesn’t scorch. Stir in milk and heat until very hot, but do not boil! Once the egg mixture gets all thick remove from stove and to it add in the mascarpone cheese along with some vanilla and a pinch of salt. Whisk it well till smooth. 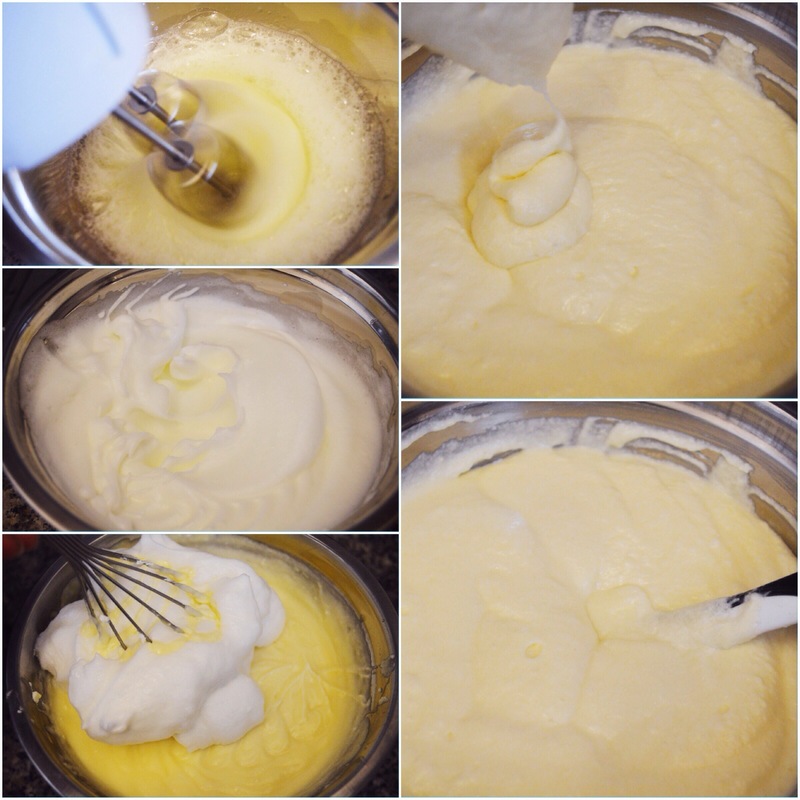 In a clean new bowl whisk the egg whites till you get nice stiff peaks. 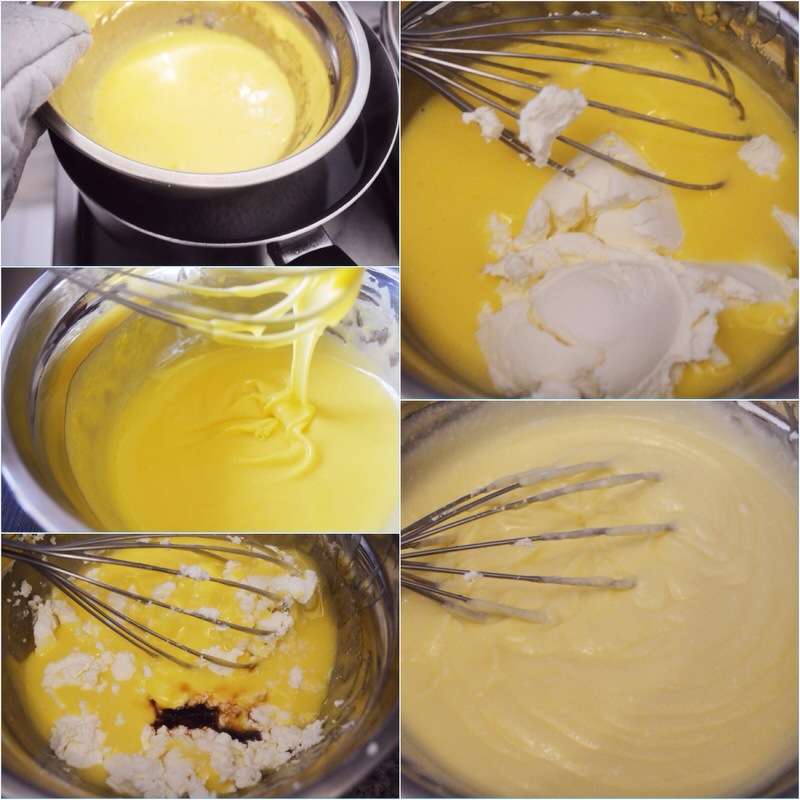 Add the half of the egg whites into the mascarpone mixture and do a half mix and a half fold. You don’t want to mix it vigorously to knock off all the air at the same time you don’t have to fold it so carefully that it is super airy. You want a super light, soufflé like mixture. That is, give a semi gentle stir. Then add the rest of the egg whites and combine. Add butter to the cream and bring to a boil over low heat. Remove from heat and add chocolates. Shake pan to submerge chocolate and allow to stand 5 minutes. Whisk smooth, then cool to room temperature. Ganache will thicken to spreading consistency. Dip the cookies in hot chocolate. Do not dip it for a long time. Just dip it and turn it around and take it out. Do not over soak. Place this on the pan. Spoon a thick layer of the mascarpone cream over the ladyfingers—you may find that it’s easier to put the cream into a pastry bag with a round tip, or a plastic bag with the corner snipped off. Once all of it have a layer of mascarpone, spoon a thin layer of chocolate on top. Repeat the layers, adding more ladyfingers, mascarpone, and chocolate, until you reach the top of your container. Make sure that you end with a layer of mascarpone cheese. Finish the tiramisus with a topping of shaved chocolate, unsweetened cocoa powder, or a big rosette of whipped cream. Refrigerate for at least 6-7 hours, or better overnight and serve! Welcome back and you really choose a wonderful recipe to come back with! Love tiramisu! Now I want some…. 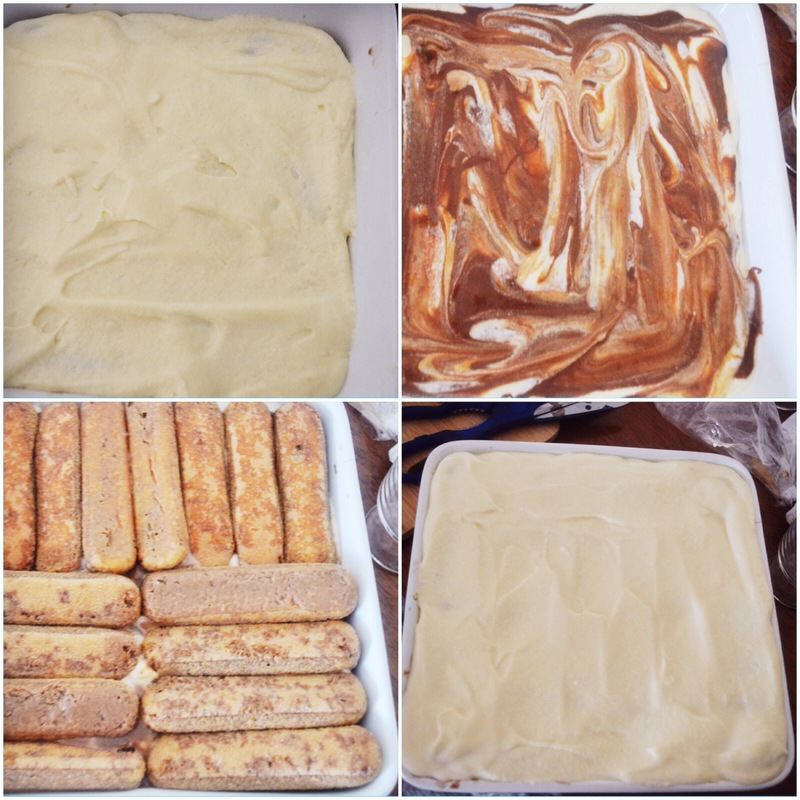 Tiramisu has been on my to-do list for ever! Love the chocolate twist. And amazing pics. What a comeback, Sadia!! Thaaank you jhuls! I missed you too. 🙂 🙂 i have to catch up with whats going on in your blog too. Im sure i have missed a lot. Will have to catch up. 🙂 🙂 thank you! Soo happy that you liked it. 🙂 im looking forward to your posts too. I have missed out on a lot. I am so glad that you are back Sadia :). So good to see you with a gorgeous recipe and a great photo shoot :))))). Hope the stuff you were busy with went well. Just gorgeous. I love tiramisu! Yours is so light, fluffy and filled with chocolate. Mmmm! I was planning on writing to you to ask ‘where are you’ and now you are back with this awesome dessert. You came back with an amazing recipe! Your tiramisu is perfect, I love that you’ve added chocolate! Glad to see you back, love tiramisu, and yours looks incredible. Your photo’s are amazing. Missed you! So good to have you back! And what an entrance this recipe is. I adore any good tiramisu, but this one is extra special with that touch of chocolate. Love it! Your photos are GORGEOUS!! This looks delicious! I didn’t know that tiramisu meant “pick me up”- that’s a fun fact 🙂 Happy Fiesta Friday! Welcome back Sadia!! Wow, you are coming back in a big way!! 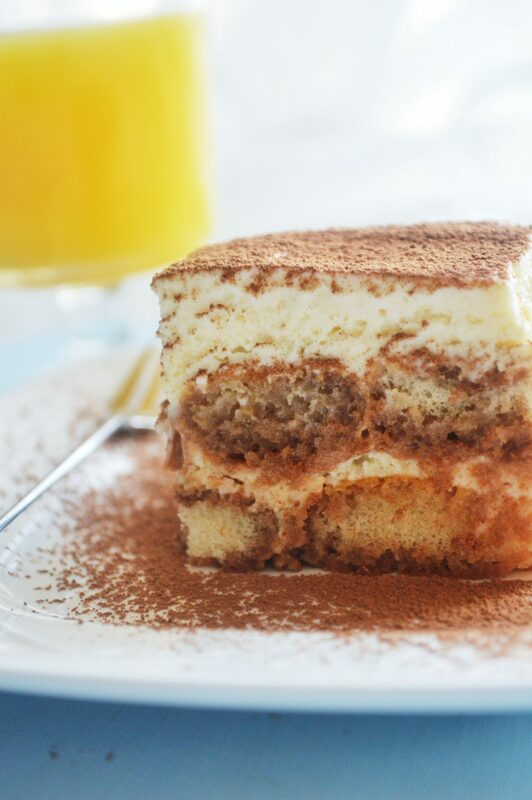 I love tiramisu..and this one looks exceptionally delicious! 🙂 That looks absolutely perfect! 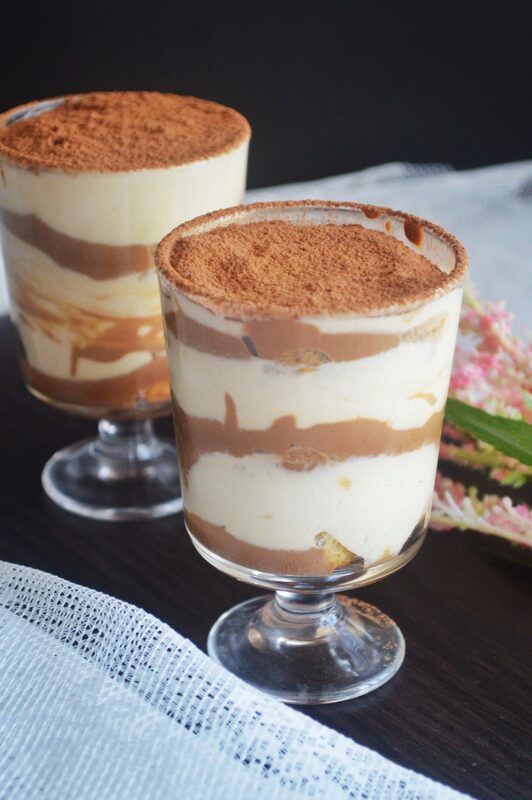 Tiramisu is a favorite… and I particularly love your idea to serve them in glasses… how elegant! It’s about time! Was wondering where you’ve been. Thank goodness you’re back. And now that you’re here, bringing your perfect tiramisu no less, Fiesta Friday is starting to groove once again :-). That tiramisu IS the perfect pick-me-up! Yay, welcome back, Sadia! 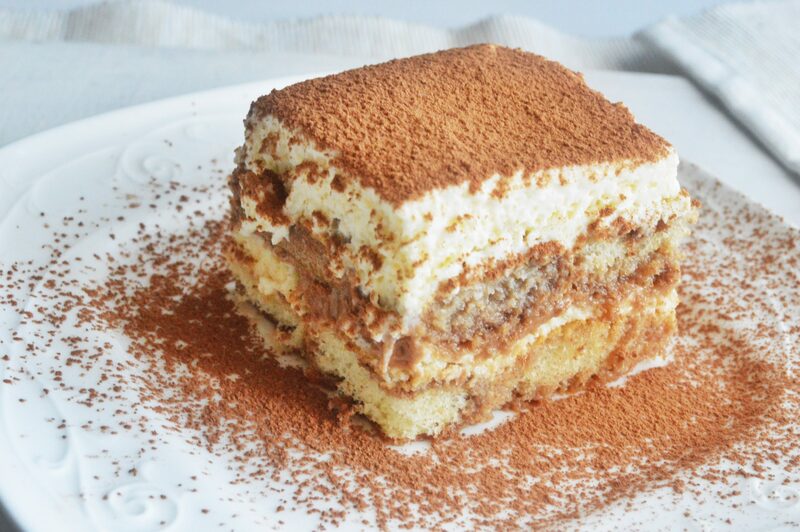 What a perfect tiramisu you’ve made! Oh yummm! This dessert looks amazing! My dad is a huge fan of tiramisu, but we always end up buying it to eat it! Thanks for co-hosting Fiesta Friday! So wonderful to find your site. This looks incredible and your pictures are stunning! Thank you for all the helpful tips for making it. I hope to try it sometime so am pinning. 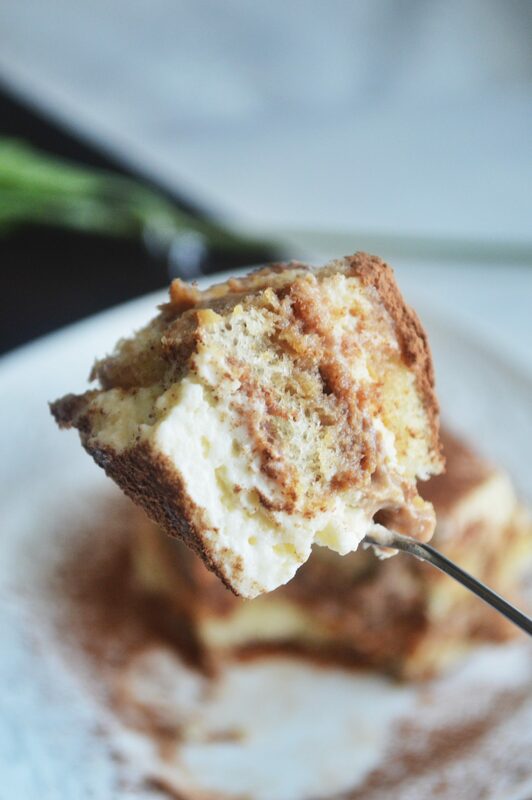 I know it’s not nice but can I just please drool all over my computer and haul this tiramisu out of my screen? Aw, it looks so good! articles or blog posts on this sort of house . Exploring in Yahoo I ultimately stumbled upon this web site. I discovered just what I needed. I most unquestionably will make certain to do not omit this web site and provides it a look regularly. 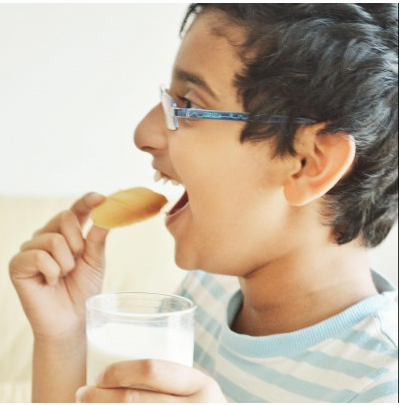 Which brand of mascarporne is used? Hi Nazneen! You can use any brand mascarpone. I used Galbani, coz that was available here. Ma sha Allah I love all the desserts from your blog so I’m in difficulty to choose one to make tomorrow.